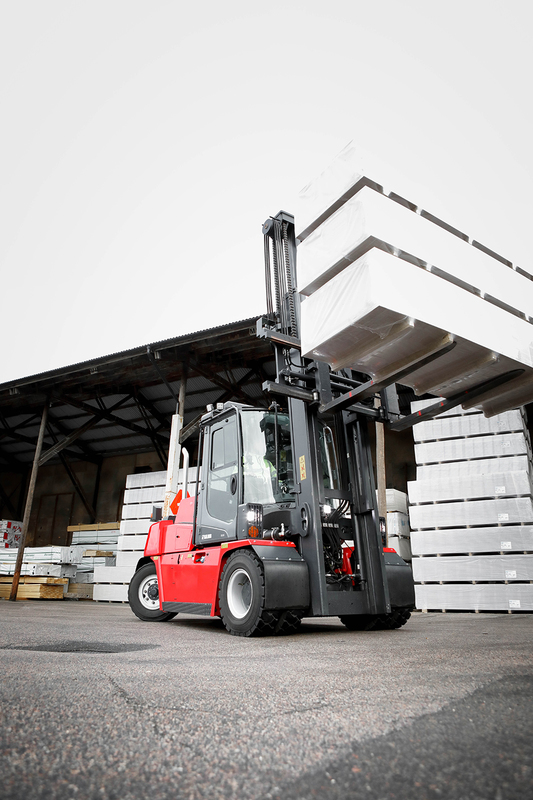 Kalmar, part of Cargotec, is launching a new range of diesel forklifts. 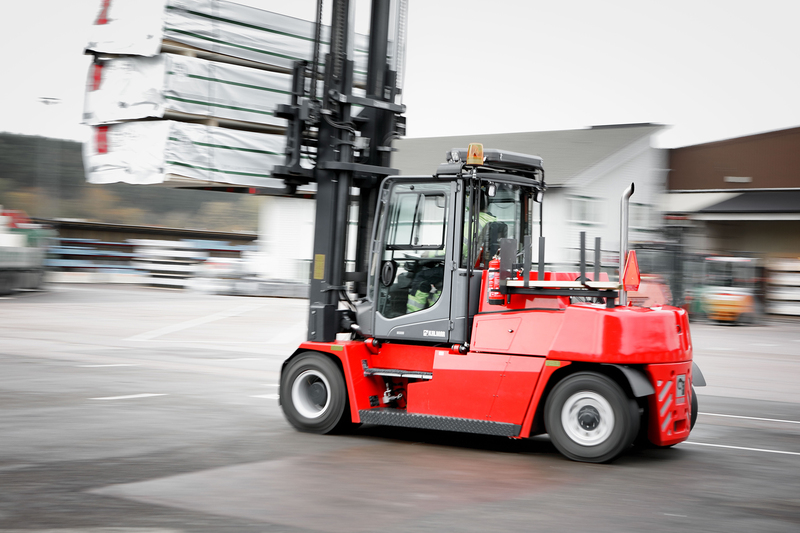 The Kalmar DCG50-90 range, comprising seven models, has been updated to provide better uptime, productivity and savings. Kalmar's light forklifts have a strong worldwide reputation for performance and adaptability, with 87% of existing customers saying they would repurchase. All models in the new range feature the state-of-the-art EGO cabin for excellent 3600 visibility as well as an optional reverse camera for an even clearer rear view. Along with climate control, ergonomic features make the EGO cabin a safe and comfortable working environment that can be customised to each driver's needs. The new forklifts also have an optimised drive train, hydraulic system, and electrical system that improve productivity by 10% compared to the previous generation - meaning operators will be able to perform on average 100 more lifts per week. Compatibility with Kalmar SmartFleet, a powerful equipment monitoring and optimisation tool that makes it easy to analyse performance data, helps to further improve efficiency and productivity. To help customers save costs and meet their environmental targets, the DCG50-90 range uses AGCO 44AWF Stage 4 engines to reduce fuel consumption by 15% and NOx emissions by 89% when compared to Stage 3 engines. The forklifts are available with five to nine ton capacity. Peter Ivarsson, Director, Forklift Trucks at Kalmar, says: "We're proud to introduce the new range of industrial diesel forklifts. These machines are highly customisable to a range of operations and are all designed specifically to help our customers do more work in less time - which should ultimately translate into larger revenues and higher productivity." The new range of light forklifts will be presented at the LogiMAT exhibition in Stuttgart, 14-16 of March, in Hall 8, Stand 8B14.